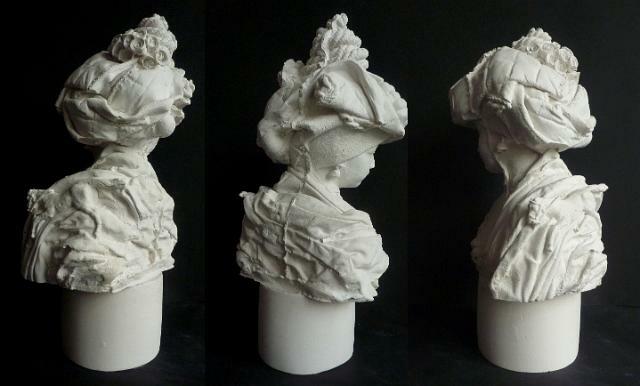 The latest plaster bust to join my collection, La Cavaliere is so named after the mini-horse perched on her left shoulder. 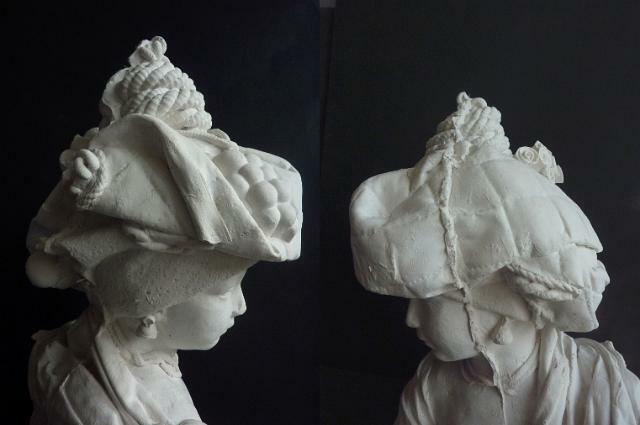 Approaching the making of figurative sculpture in a very different way, my busts are created by direct casting from real-life materials. 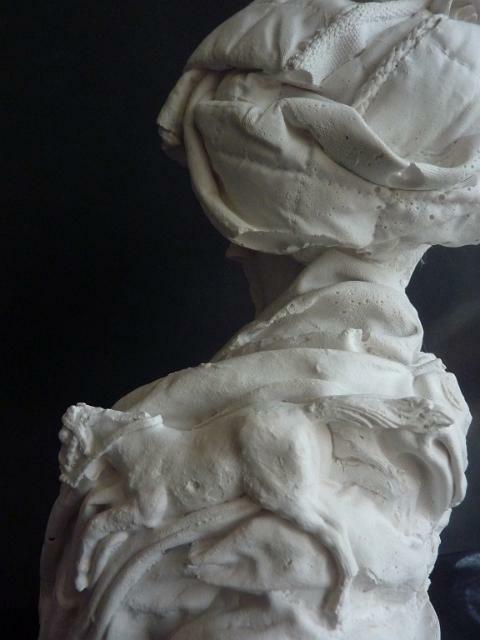 Above, making a silicone mould of my original sculpture in order to produce a plaster cast. 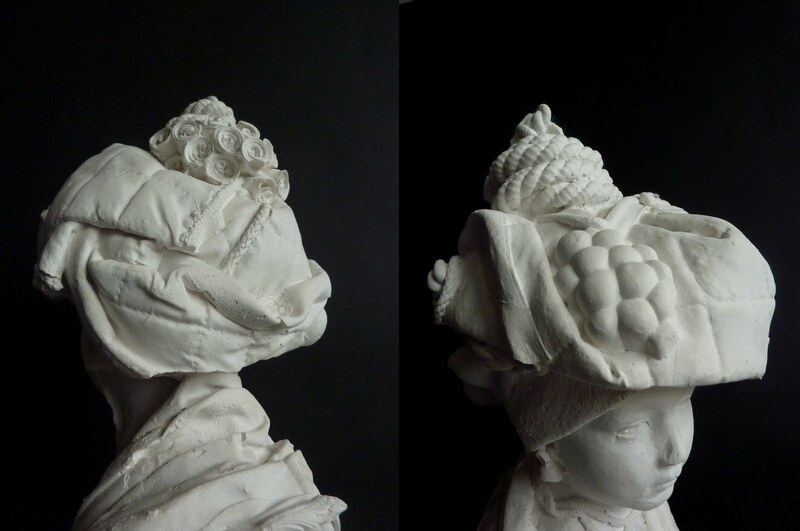 The hats are complete concoctions although inspired by historical costume. This turned out to have a rather Italian medieval look I thought. I'm not quite sure how I came up with the horse idea - some objects just seem to jump out at me when I'm rifling through boxes of junk here and there. 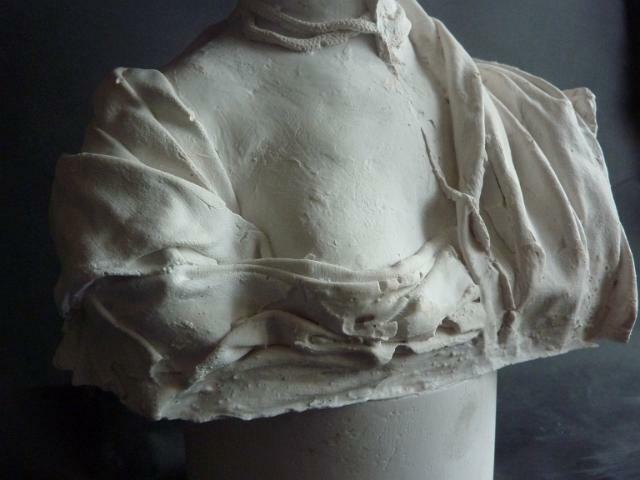 This is the 7th bust in the collection and I'm gradually introducing more movement and fluidity into the clothing - looking to re-create the folds and drapes of classical sculpture. As with my Concrete Figurine collection I purposefully cast the busts quite roughly and keep the mould seam evident, continuing to borrow the language of industrially cast structures. A very bizarre view of the back of the hat! Just out of the mould. 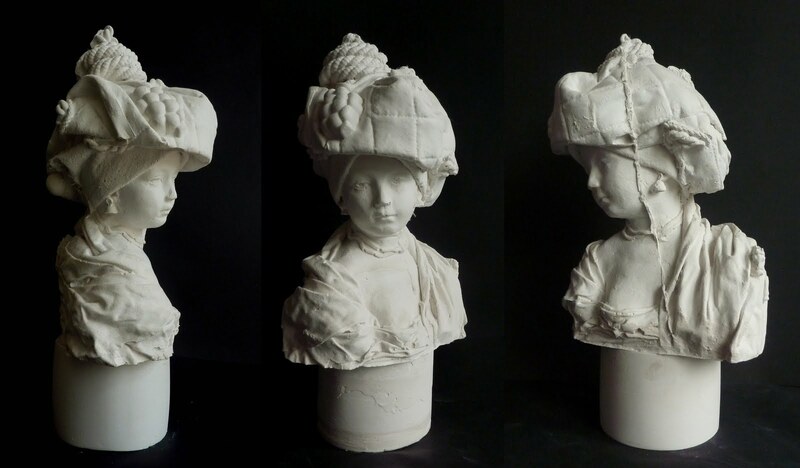 An army of plaster busts, lurking in the corner of my studio! In my next post I will tell some of the back-story behind these sculptures. After reading this blog, I get important information about on this topic.